An electrician is a person responsible for installing, operating, repairing, upgrading and servicing various electrical systems. As an electrician, you might service streetlights, traffic lights, intercom systems as well as various control systems and circuits. You may be required to do work in someone’s home, in residential complexes, at large companies, factories or even power stations. Many electricians work for a company, an agency or even for themselves. General electricians – design, assemble, install, test, commission, diagnose, maintain and repair electrical networks, circuits, equipment, components, appliances and facilities for industrial, commercial and domestic purposes. Engineering electricians – are responsible for the generation, transfer and conversion of electrical power. Mining electricians – work in the minerals and energy industry they are responsible for establishing and ensuring ongoing supplies of power from generators to plant and accommodation units. 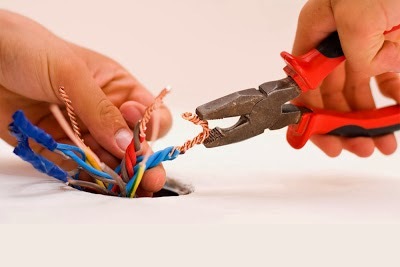 Auto electricians – specializes in the electrical wiring and maintenance of motor vehicles. Aircraft electricians – specializes in the electrical wiring and maintenance for planes and helicopters for example. As an electrician, you could also be required to design layouts, research building plans, test and inspect circuits, install complex electrical circuits, upgrade existing systems and fix wires and circuits. You will have to work with a variety of electrical equipment and tools. It is also very important to take great care in what you do, taking great care in safety precautions and ensuring that you complete your tasks according to government regulations. … then you could be a perfect candidate to become an electrician! Courses, learnership and apprenticeship programmes are available from a variety of FET (Further Education & Training) colleges. It is always recommended to cross-reference the college’s accreditation. Visit the Energy and Water Sector Education and Training Authority website for a complete list of registered colleges. Every college will have varying prerequisites and the relationship between practical and theory courses on offer will vary too – just do your research and consider all you options! You can contact Eduloan as soon as you have decided which school or training college you would like to study at and one of our consultants will be able to give you all the information you require to get the financial assistance you need to realise your dream of becoming an electrician. For more information or to speak to one of our Eduloan consultants, visit our website www.eduloan.co.za.